With the San Francisco Bay Area long one of the most desirable areas in the country to live in and apartments in short supply for a variety of reasons, there is little surprise that rents in the region would be among the highest in the nation. But a report released Wednesday showed that rents have reached record highs in the Bay Area, a fact that prompts San Francisco landlord-tenant law attorney Gregory J. Brod to remind us that some landlords, especially of rent-controlled units, may be tempted to employ illegal means to get their tenants to move out so they can raise rents. According to the San Jose Mercury News, a third-quarter report from RealFacts of Novato found that rents in the Bay Area have risen 11.4 percent from the third quarter of last year to an average of $2,234 per month, which is the highest level recorded since two decades ago. More category-specific, the rent increases are reflected in the following year-over-year gains in the nine-county region: for a studio apartment, $1,931, up 12.5 percent; one bedroom, one bath, $2,017, up 11.8 percent; two bedroom, one bath, $2,006, up 11 percent; two bedroom, two bath, $2,562, up 9.8 percent; three bed, two bath, $3,022, up 13.5 percent. 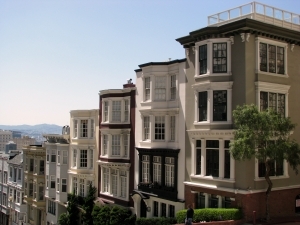 San Francisco: $3,400 a month, up 9.8 percent, with a 95.1 percent occupancy rate. San Mateo County: $2,580 a month, up 10.7 percent, with a 94.3 percent occupancy rate. Alameda County: $1,994 a month, up 11.6 percent, with a 97.3 percent occupancy rate. Contra Costa County: $1,659 a month, up 8.8 percent, with a 96.8 percent occupancy rate. Santa Clara County: $2,369 a month, up 10.7 percent, with a 95.8 percent occupancy rate. With rent increases such as the foregoing, it’s not hard to imagine that there is an economic incentive for some landlords to turn over apartments, especially rent-controlled units, so that they can reap bigger rents or even take units off the market and repurpose them as condominiums for sale. The latter move is often accomplished in California through a controversial Ellis Act eviction, but landlords can also resort to various methods of harassment to get tenants to abandon their units. Harassment can appear in various guises, which include but are not limited to interrupting, terminating or failing to provide housing services required by contract or by state, county or local housing, health or safety laws; failure to perform repairs and legally required maintenance; abuse of the landlord’s right of access to the unit as provided by laws; and attempts to coerce the tenant to leave the premises with offers of payments that are accompanied by threats or intimidation. Indeed, the list of various forms of harassment is a long one, and harassment is spelled out in municipal ordinances, including San Francisco’s special provision on harassment, Section 37.10B. It’s tough enough trying to make ends meet in the Bay Area as it is, but if you are a renter and you feel that you have been harassed by your landlord, you probably should seek legal counsel. At the Brod Law Firm, we represent tenants, not landlords, and we urge any tenant who finds his or herself the subject of landlord harassment to contact us for a free consultation.